ST. GEORGE — Five-year-old Taiver Steiner was playing football with his step-dad when they first noticed the bump on his neck. They learned that the bump was a swollen lymph node after taking him to the doctors, and Taiver was prescribed antibiotics. When another lymph node swelled up under his jaw, he was given a higher dose of antibiotics. The size of the bumps went up and down, but when he woke up one morning with the lump on his neck doubled in size, his parents started to worry there was more going on. 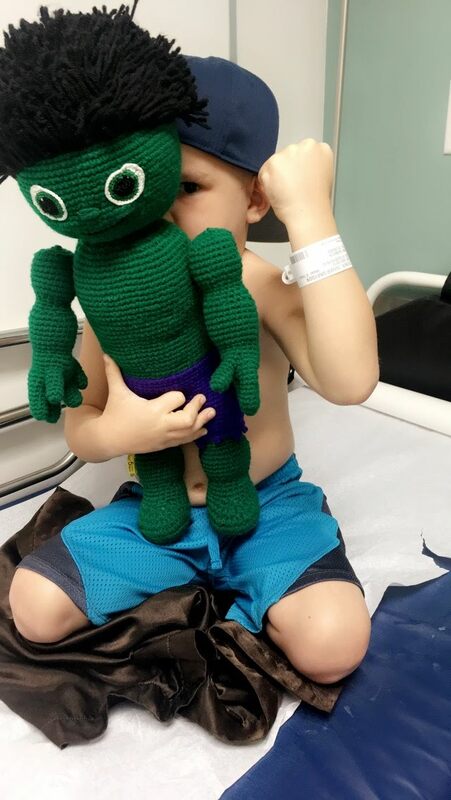 After rushing him to an urgent care clinic in Hurricane, they were sent to the emergency room for a CAT scan and were referred to Primary Children’s Hospital in Salt Lake City. Primary Children’s doctors took a closer look at Taiver’s blood work and diagnosed him with pre-B acute lymphoblastic leukemia. The diagnosis came mid-July, just weeks before Taiver’s sixth birthday, and ultimately altered his family’s world. Doctors put him on a three-year treatment plan, and every month is different for Taiver. The first month he was put on steroids along with sets of chemotherapy and weekly spinal taps. Now he is going through five weeks of receiving chemo through an access port every 10 days, which Steiner said has been the most traumatic part of the experience for him. “He’s super positive for the most part until he has to get accessed,” Steiner said. Prior to Taiver’s diagnosis, Steiner managed the office at Ashley Furniture HomeStore and worked a side job from home. When she found out Taiver had cancer, she left her job at the furniture store to be with him and home-school him, while he undergoes the first year of treatment. 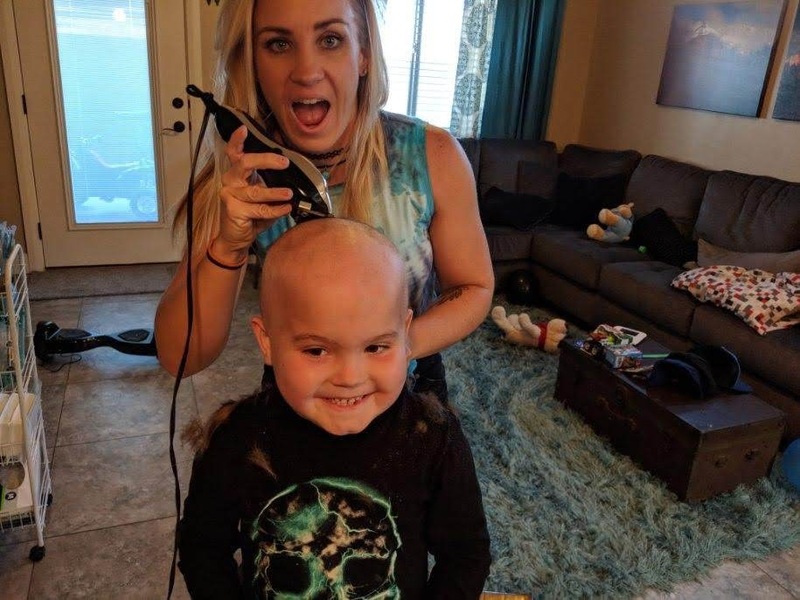 The treatment plan Taiver is on has a 90 percent success rate, and doctors are optimistic that he will make a full recovery; however, traveling to Salt Lake City for treatments and other related expenses are adding up for the family. Right after Taiver was diagnosed, Brad Whitlatch started a GoFundMe page to raise money for travel expenses to Salt Lake City, occasional overnight stays and for prescriptions not covered by insurance. A couple of weeks ago the family designed T-shirts, hats, sweatshirts and stickers that they sell on their website Taiver Smash to help cover expenses. “It’s been super overwhelming, but we’ve had a lot of support so we’re staying positive,” Steiner said. The family also began organizing fundraisers, including a quilt raffle at Ashley Furniture HomeStore through Dec. 1, and a yard sale fundraiser and barbecue, which will take place Saturday at St. George Rehabilitation at 1032 E. 100 South from 9 a.m. to 2 p.m. A barbecue lunch will be served from 11 a.m. to 2 p.m. while supplies last, and a St. George Fire Department fire truck will be available for kids to explore in. What: Yardsale barbeque fundraiser for Taiver Steiner. When: Oct. 20, 9 a.m. to 2 p.m.
Where: St. George Rehabilitation, 1032 E. 100 South, St. George. For more information, visit the Taiver Smash website. This little guy is inspiring.